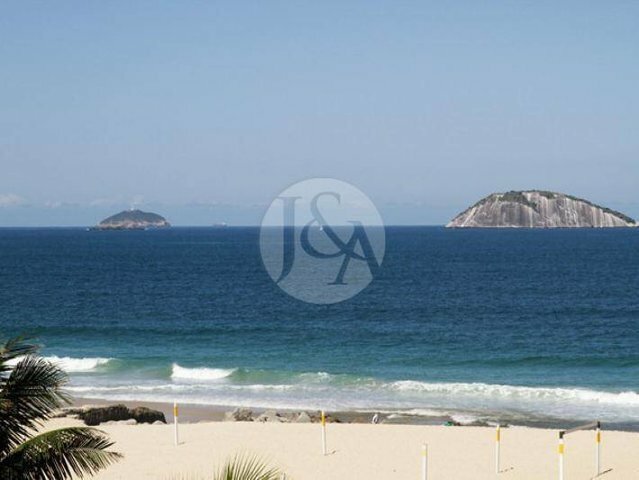 Apartment in privileged street in front of Leblon Beach with beautiful ocean views in prime building with total security and privacy. Its huge 7.263 square feet area is divided into entrance hall, living room, dining room, study room, three bedrooms featuring two en suite bathrooms, kitchen, eating area, pantry, dish cabinet, service area, laundry room, two staff's quarter with a bath. Parking space for three cars.